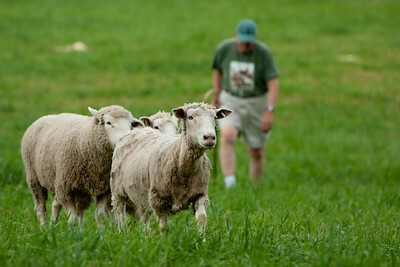 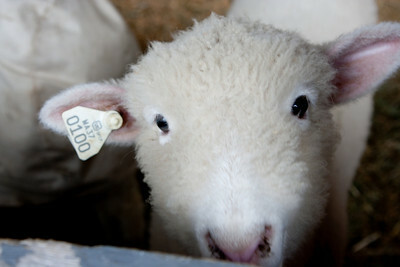 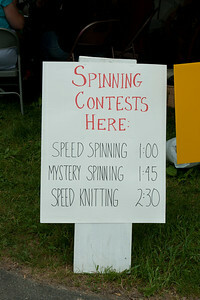 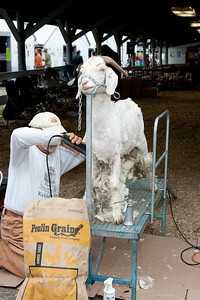 Photos from the Mass Sheep and Wool Festival in Western MA. 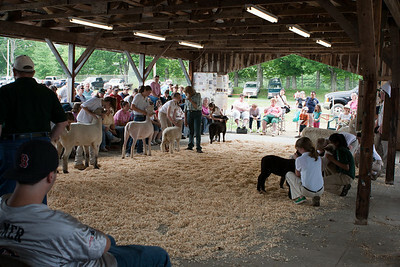 This was a sort of competition for judging the presentation of the lamb. 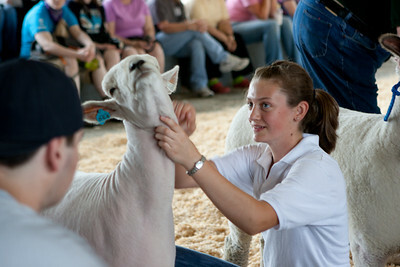 This lamb is getting ready to go in the next round. 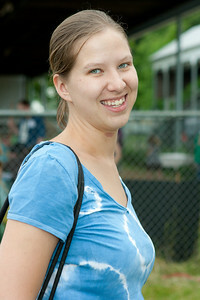 Abby waiting in line for freshly made french fries. 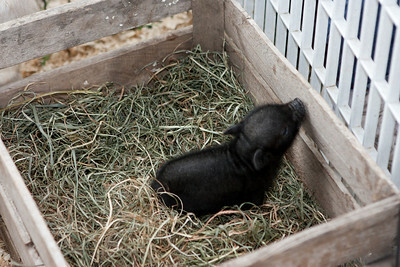 Bottle fed pot belly piglet. 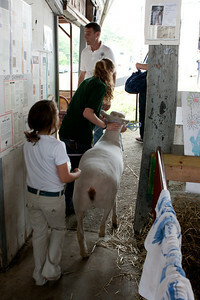 The same family also had some goats. 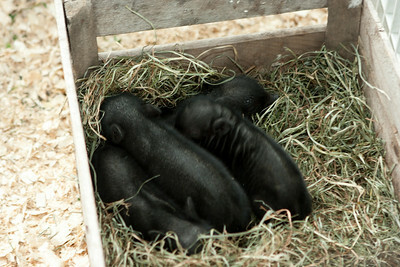 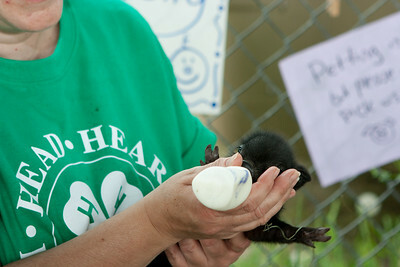 All of the piglets fed. 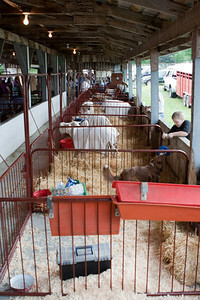 Sheep used in the sheep dog trials. 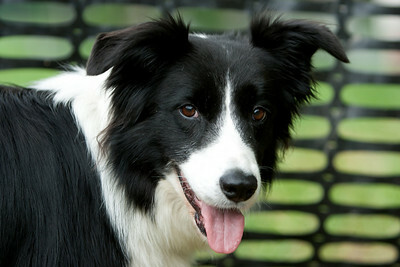 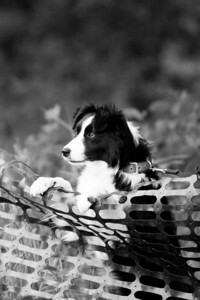 Eager border collie watching the sheep dog trials. 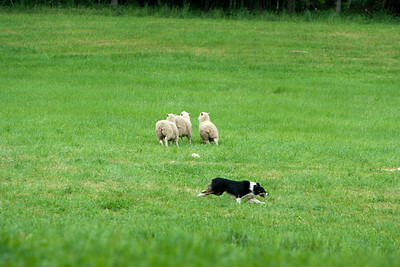 Border collie herding a trio of sheep. 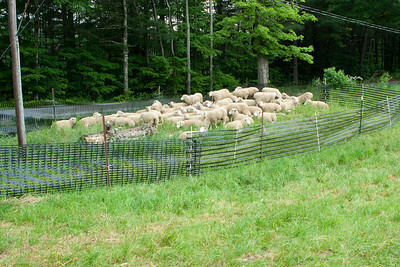 After a while they ran out of sheep in the supply pen and herded all of the sheep back. 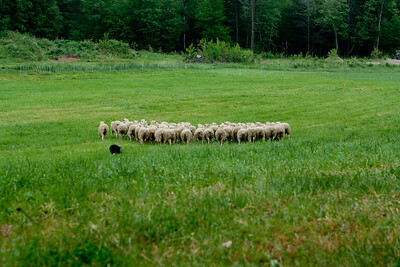 Sheep heading to the pen after a sheep dog trial. 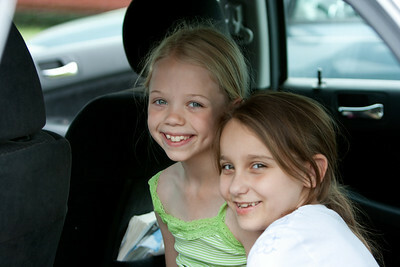 Arayana and her friend Alex.